“We know that harsh disciplinary policies, like pushing students out from class-time for not wearing their uniform, don’t work, but instead harm us and our academic success,” expressed Victor Lopez, a 10th grade student at Mendez Learning Center. 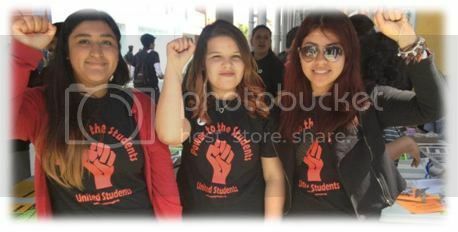 “This week we heard Mendez students say they want the ‘Student Bills of Rights’ for all students in LAUSD! We demand to be supported and empowered, not pushed out!” stated Lopez. As an alternative to current disciplinary policies, youth from InnerCity Struggle and BSS are proposing a healthier and more supportive school environment that will put students on a path toward graduation and future success. Key elements of the “School Climate Student Bill of Rights” include alternative to suspensions, Restorative Justice Practices, decreasing the role of police in schools and wrap-around services that will facilitate student wellness and success.